Here in the Nashville area, we are very concerned about every noise our HVAC units make, especially in the middle of summer (or winter). So what do you do when you hear a grinding, or a squealing, or a hiss? There are many noises that an HVAC unit can make, and it’s kind of like a car engine in terms of how many things could be wrong based on each sound. There are times a sound means you should call a Nashville HVAC contractor like Halo Heating & Cooling, and there are times a sound means you can fix it yourself. How do you know the difference? There are actually two questions you should ask before your first action when it comes to weird HVAC noises. Sometimes noises like this are simple repairs. If you hear a loud noise, ask, Where is the sound coming from? Then ask, What kind of sound is it? It’s important to determine where the loud noise on your Nashville HVAC unit is coming from. If you are attempting a DIY fix before calling a professional, be sure to turn off the unit before you start investigating (both in the breaker box and on the thermostat). Ask this question—Where is the sound coming from?—before you do anything else. For more info on how to locate the source of an HVAC noise, check out this blog. Once you’ve determined the sound source, ask, What kind of sound is it? 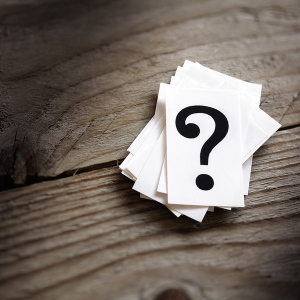 This will help you determine whether it’s a DIY situation, or it’s time to call your HVAC tech. So what can different sounds indicate? Mild Squeaking from Air Conditioner – Likely not serious; probably a bearing in need of lubricant or a dirty fan blade that is out of balance. Rattling from A/C or Duct – Again, not very serious; likely a loose panel in need of tightening, or a loose A/C duct. Grinding Noise – More serious; a bearing is likely going to fail, and if not replaced soon, it could damage other parts of your HVAC unit. Hissing Sounds – Usually the most serious; if it is coming from your air conditioning unit, the most likely cause is leaking freon. Don’t worry until you’re certain that it’s coming from your air conditioner itself; hissing could also be loose ductwork, which is not that serious. As you can see, there are many things that can go wrong with an HVAC unit. A little knowledge, though, can go a long way towards saving you money. From our list above, we can tell that small squeaking and rattling sounds are not necessarily a big deal. Normally, you can either live with the sound or fix it yourself. This post might help you figure out how to solve your own more mild HVAC noises. However, a professional is definitely needed once a sound reaches a certain pitch. The more harsh a sound is, the more likely it indicates a serious problem. And certainly if a noisy HVAC unit hurts your ears, it’s time to turn off the unit and call a professional Nashville heating and cooling technician. The longer you allow a unit to run with a harsh sound, the more damage it is likely to cause and the more dangerous it can get. So when do you call a professional? When the noise hurts your ears—or at least when you have a hissing noise that you are absolutely certain is coming from the HVAC unit. A good rule of thumb however, is when in doubt, you would rather be safe than sorry. 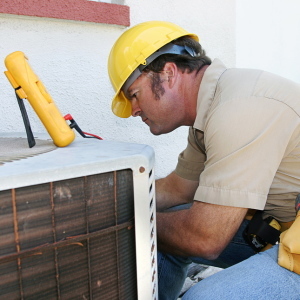 Call an HVAC technician if you start to get even mildly suspicious or uncomfortable not knowing what the issue is. However, if you’re absolutely confident you know the issue yourself, you can probably just wait if it’s not serious. 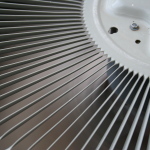 Is your HVAC unit making loud sounds? When your A/C unit starts to sound funny, pay attention—is it just mild squeaking or rattling? Not that big of a deal, and you can usually resolve it with a little elbow grease. But is it harsh grinding or high-pitched hissing? Call your HVAC contractor. 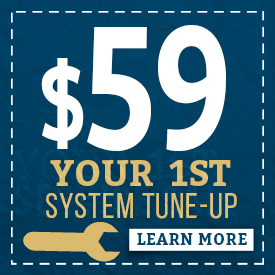 Are you reading this article because your Nashville heating and cooling unit is acting up? Or maybe you were curious to compare experiences because you just finished a repair on your unit. In either case, we want to know your story! Leave a comment below, and we’ll respond right away!